‘Tis the season for holiday specials. Today, Comedy Central announced their upcoming holiday programming, which includes special episodes of Drunk History, The President Show, and The Daily Show with Trevor Noah. 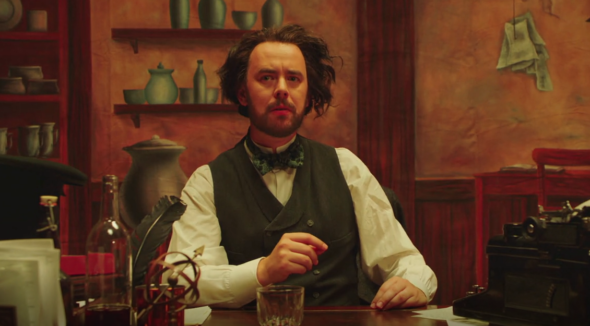 The Drunk History Christmas Special debuts on November 28th at 10 p.m. ET/PT and will feature performances from Colin Hanks, Rob Corddry, Ken Marino, and Chris Witaske. Additionally, The President Show will air a one-hour Christmas special on November 30th at 10 p.m. ET/PT called “I Came Up with Christmas: A President Show Christmas.” And to round out 2017, The Daily Show with Trevor Noah debuts its year-end recap, “The Daily Show’s The Yearly Show 2017,” on December 18th at 11 p.m. ET/PT. NEW YORK, November 2, 2017 — Comedy Central has broken into the eggnog and is spreading the holiday cheer with all-new specials from The Daily Show with Trevor Noah, Drunk History and The President Show. The Daily Show’s The Yearly Show 2017 year-end special will be hosted by Trevor Noah and will feature The Best F#@king News Team. Taping at the Gramercy Theater in New York City on Sunday, December 3, the brand-new one-hour special will feature all original content. The Daily Show’s The Yearly Show 2017 premieres on Monday, December 18 at 11:00 p.m. ET/PT on Comedy Central. In the Drunk History Christmas Special, creators Derek Waters and Jeremy Konner bring to life such iconic holiday scenes as George Washington crossing the Delaware River on Christmas Day, a look at the Charles Dickens Christmas classic A Christmas Carol and Teddy Roosevelt’s ban on Christmas trees in the White House. Reenactors include Rob Corddry, Colin Hanks, Ken Marino and Chris Witaske with narrations from Craig Anstett, Rich Fulcher and Phil Hendrie. I Came Up with Christmas: A President Show Christmas will feature The 45th and final President of the United States (played by The President Show creator Anthony Atamanuik) alongside the Vice President (played by Peter Grosz) as they celebrate the holiday with a cavalcade of friends old and new in a night of comedy, music, jingle bells, and dog whistles as they try to make this the whitest Christmas ever. The hour-long holiday special debuts Thursday, November 30 at 10:00 p.m. ET/PT. What do you think? Do you watch Comedy Central? Which specials are you looking forward to this holiday season? More about: Comedy Central TV shows: canceled or renewed?, Drunk History, Drunk History: canceled or renewed?, The Daily Show with Trevor Noah, The Daily Show with Trevor Noah: canceled or renewed?, The President Show, The President Show: canceled or renewed? American TV is weird. In the UK we put Xmas specials on, you know, at Xmas.